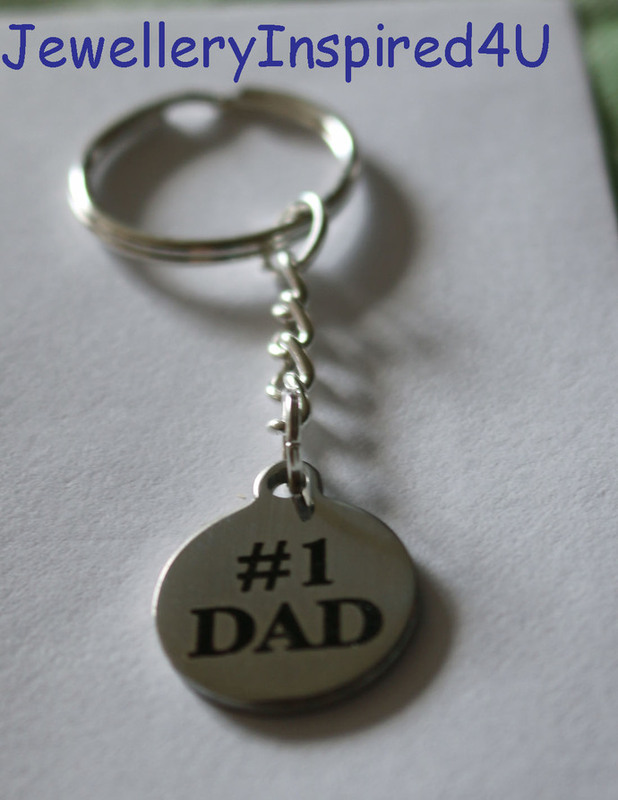 Fathers Day Key Chain. #1 DAD. Dad will love this key chain. 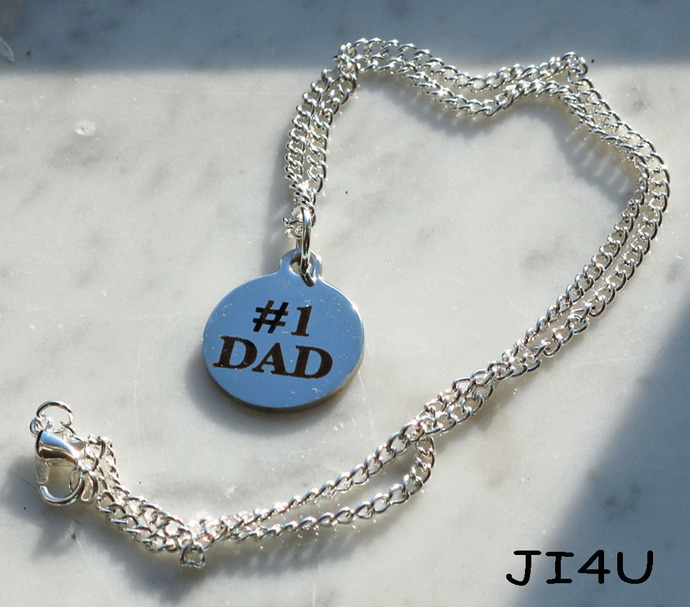 A timeless keepsake for Dad. Stainless Laser Charm Key Ring the key ring is sterling. Laser Key Ring. Gifts for Him. Fathers Day Gift. Men's Accessory. 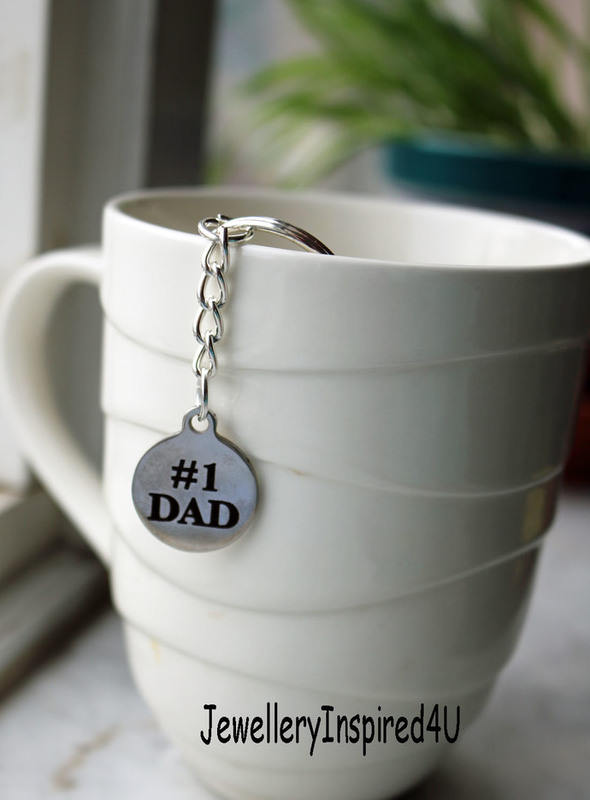 Surprise Dad with this one of a kind laser #1 Dad key chain. Beautiful laser design expressing how you feel about your dad, your big brother, best buddy, or simply the man you admire. New introductory price. Key Chain Laynard. Simple hook your keys on to the double key ring and set in place making sure they are secure. Gifts for Men anytime of the year. The Sterling Silver 16 inch chain is available on request. Otherwise the listing is for one laser charm key ring as shown. Nothing says it to simply to express your love and admiration. Carefully suspended on a sterling silver key chain, with extra large ring for keys. We also have "The Love between Father & Daughter is Forever" please make your selection from the drop down window. There will be styles coming in our inventory. Thank you for looking. *.Do not scrub- it may scratch! Shipping: Please note that there might be possible postal disruption in Canada on July 2.